If you travel abroad with medications, beware! Medications that you don’t give a second thought to may be illegal in other countries. In Japan, it’s illegal to bring Sudafed, Actifed, and Vicks inhalers into the country, if the main ingredients are above the allowable limits. It’s difficult to obtain oral contraceptives and devices in Catholic majority countries with their restrictive laws. In some instances, it’s illegal to have them with you. Having in your possession just three grams of morphine in Singapore is enough to convict and impose the death sentence. One might think Singapore is an isolated incident. But Turkey, Thailand, Egypt and other countries have death penalty laws similar to those of Singapore for drug convictions. In addition, they can impose “lesser” sentences by lawfully sanctioning caning, flogging or lashing for drug violations. Check with the foreign Embassy of the country you’ll be visiting about medications and/or contact U.S. government agencies as noted in the references below. Get needed vaccinations 4-6 weeks before you leave on your trip. If you plan to be away more than 30 days, ask your physician how to obtain enough medication. Insurance companies may pay for only a 30 day supply of your medication. Ask your doctor for alternative medicines, if they are banned by the country you plan to visit. Know how to safely store medicine and whether it needs refrigeration. Bring copies of the medical prescriptions you’re taking with you. Carry written prescriptions by your doctor or a labeled medicine container with the proper drug in it and the right information on it. Bring a few days of extra medications with you in case of delays. Know the countries that have restrictions on the number of pills you can bring with you (30 day supply or 90 day supply of medication “X”). Contact the U.S. embassy or consulate if you need to buy medicine in the country you’re visiting for their recommendations of pharmacists or doctors. Many travellers have allergies and some carry with them an epi-Pen to counteract a life threatening emergency. Special consideration is needed to ensure you’re allowed to bring it into the country and how to obtain the epi-Pen while you’re traveling. Before the trip, third parties should not carry on their person or place medications belonging to another person (particularly controlled substances) in their suitcase. Authorities might misconstrue this activity as a means of drug trafficking. Consider the situation of a female U.S. citizen with ADHD, Attention Deficit Hyperactive Disease. Adderall, an amphetamine, is a prescribed medication used in the United States to treat ADHD. Amphetamine is illegal in Japan. In February 2015, she was accused of illegally shipping a three month supply of Adderall into Japan from South Korea. Another strike against her occurred when she repacked the medication from the original container, according to the woman, to maintain her privacy. She was arrested and jailed for 18 days before being released thanks to the legal efforts of the United States and intense diplomatic lobbying. It bears remembering that we are guests when we arrive in another country. 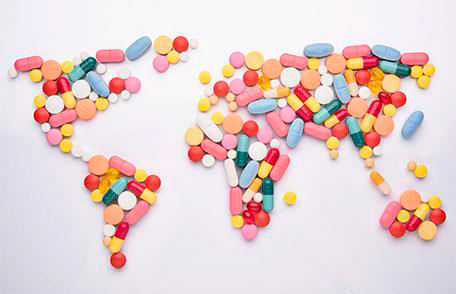 It’s our responsibility to know and obey the rules and laws of the host country particularly regarding medications.